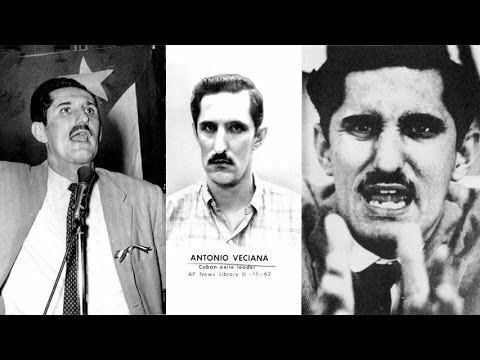 Antonio Veciana Blanch (born October 18, 1928) is a Cuban exile who was recruited by the Central Intelligence Agency (CIA) to kill Fidel Castro. He was the founder and a former leader of the anti-Castro group Alpha 66. 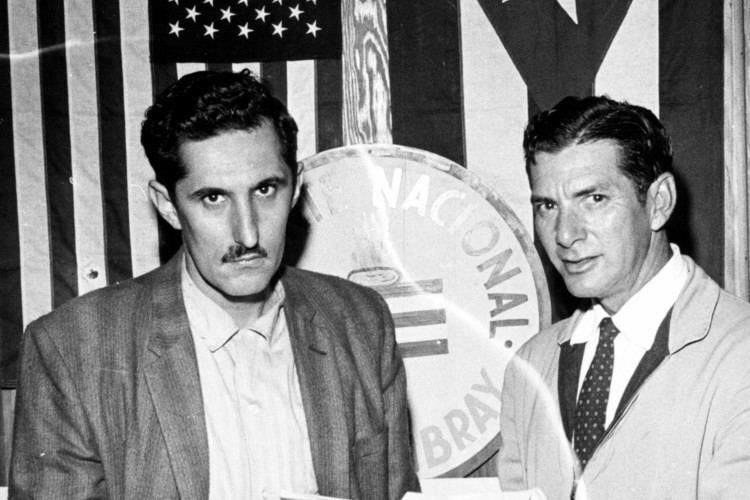 At the time of the 1959 Cuban Revolution Veciana was employed as an accountant by Julio Lobo, and well known as the President of the professional accountants' association. Veciana was recruited as a spy for the CIA by David Atlee Phillips (also known as Maurice Bishop) in 1959 to kill Fidel Castro. After the initial contact with Bishop, Veciana took a 2-3 week course in psychological warfare and sabotage. After the failed Bay of Pigs Invasion in April 1961, Bishop directed Veciana to help organise an assassination attempt on Castro in Havana from an apartment rented in the name of Veciana's mother-in-law. 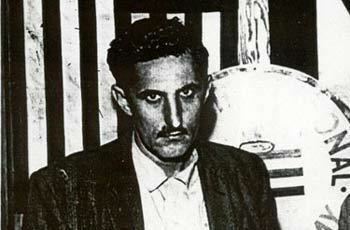 Veciana left Cuba the day before the October 1961 attempt, his wife and children having already left some months earlier. The attempt, which involved a bazooka, failed. Veciana settled in Miami with his family, and after Bishop contacted him there, at Bishop's direction Veciana founded Alpha 66 in mid-1962, becoming its civilian chief and principal fundraiser, and recruiting its military chief from another Cuban exile organization. Alpha 66 became one of the most active Cuban exile groups, acquiring guns and boats and launching commando raids on Cuba. From August 1968 to June 1972 Veciana was active in Bolivia. Formally a banking adviser to the Central Bank of Bolivia on contracts financed by the U.S. Agency for International Development, his office was located in the passport division of the American Embassy, and his primary activity was organising anti-Communist and anti-Castro activities. This included another assassination attempt on Castro in Chile in 1971 involving a plan to put a gun inside a television camera. Veciana's recruiting of Cuban associates who prepared a plan to blame Russian agents for the assassination led to a falling-out with Bishop and the eventual termination of their relationship. When Bishop broke off the relationship in 1973, he paid Veciana $253,000 in recognition of his services; Veciana had previously refused payment. In 1976 Veciana told the United States House Select Committee on Assassinations (HSCA) that at one meeting with Bishop in Dallas in late-August or September 1963 he had arrived to see Bishop talking with Lee Harvey Oswald. 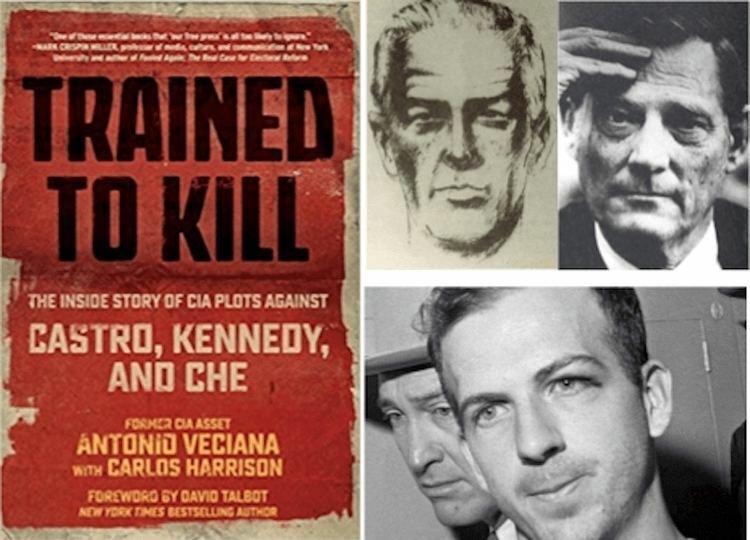 Veciana said that several months after the assassination Bishop had offered to pay a relative of Veciana who worked in the Cuban Intelligence Directorate in Mexico City to say publicly that he had met Oswald there. In 2014 and 2015, Wynne Johnson uploaded three videos to YouTube.com and Vimeo.com to reveal that, at the age of 15, he and a girl his own age were witnesses to the incident told of by Veciana. These can be found by searching on "Southland Center 1963," Part 1, 2, and 3, on either of the two websites. Johnson claims to have a considerably more detailed memory of the event than Veciana does. 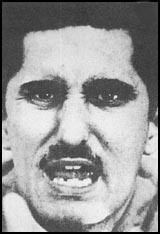 On September 21, 1979 in Miami, Veciana was wounded in the head during a drive-by shooting while he was riding in his car. He was initially admitted to Pan American Hospital with a small-caliber bullet imbedded above his left ear, then transferred to Jackson Memorial Hospital. Veciana's family and friends said that agents of the Cuban government had attempted to kill him. Veciana was not active in Alpha 66 at the time of the shooting. His wife said he had received death threats eight months earlier, and Nazario Sargen, the then current leader of Alpha 66, said Veciana told a press conference a few months previously that the Cuban government was planning to kill him after he had learned about the plot from the United States Federal Bureau of Investigation. Veciana was briefly employed as treasurer by Maurice Ferré's 2004 campaign for mayor of Miami-Dade. He resigned after a few days, as he did not meet the state requirement of being a registered voter. Veciana is the husband of Sira Muino and father of journalist Ana Veciana-Suarez.